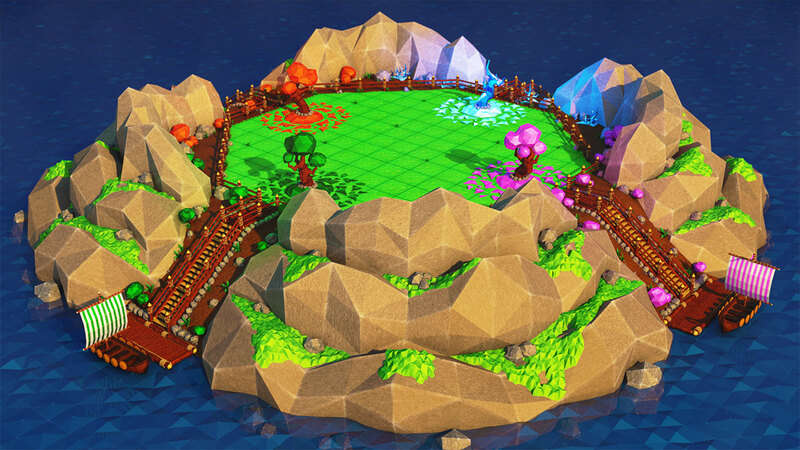 The guys over at the “ManicNorth” studio asked us to spread the word about there current Ogre3D based project called “Seasoned Tactics” and of course we happily oblige. It is a turn-based tactics arena game where players take control of the four seasons to battle for control of a tiled board. They are currently seeking support for their new creation trough Steam Greenlight as well as through their ongoing Kickstarter campaign. Information about the artwork and mechanics of the game can be found on their website / blog. 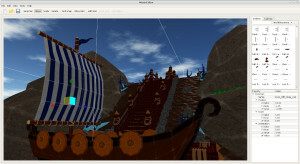 The engine, game, editor and server are all written in C++. We’ve abstracted each component into it’s own separate library in order to prevent any game specific code from mixing into modules we plan to re-use. 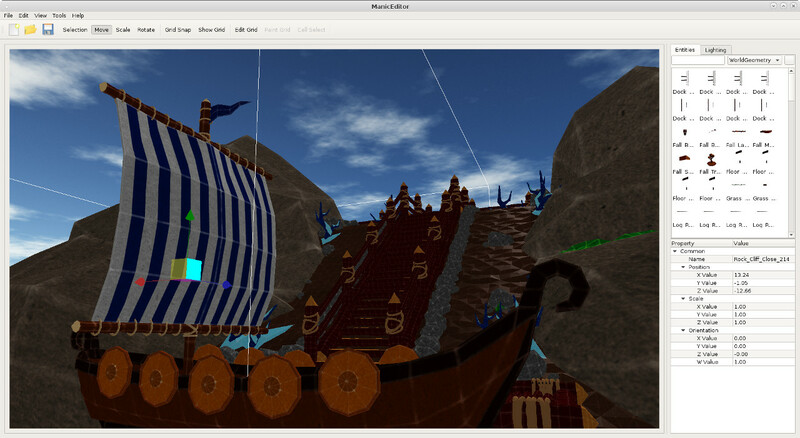 This will allow us to continue re-using the base level engine code for future projects. Right now we have the core engine being built against the stock 1.9 version of Ogre with no modifications. We’re primarily supporting OpenGL as the main renderer, and have been experimenting with the GL3+ renderer. 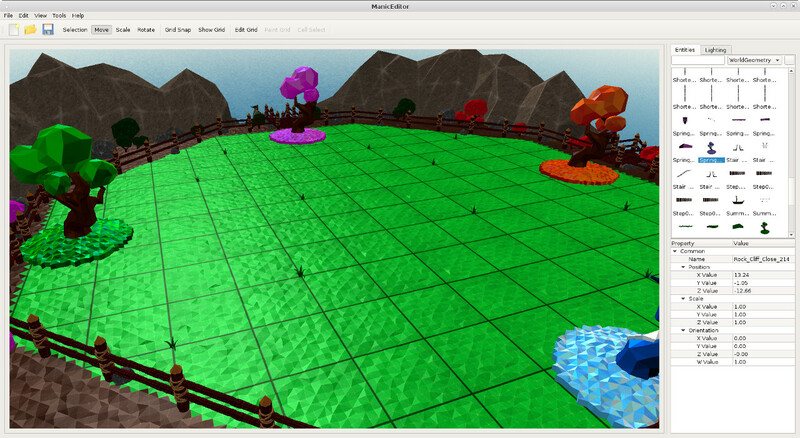 On top of Ogre we’re using libRocket for our in-game UI system, and QT5 as our editors interface. On top of the engine and the game, we’ve created an editor to help speed up the generation of levels and also positioning of game tiles, and world assets. 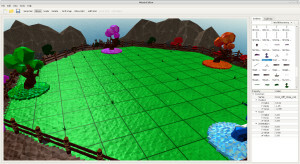 It has the standard move, scale, rotate tools for manipulating assets, as well as a grid editor that allows manipulation of the 2D style game board, setting gameplay properties that a tile may have. The level files are then export to json files which can be loaded in to the game world. Our art/asset pipeline is still undergoing changes, but currently all assets are created in 3DS Max and exported using the OgreMax tool. From there we load them into the editor where we can then place them in the world. We’re targeting a large number of platforms, the big three desktop ( Windows, Linux, Mac) and mobile (iOS, Android). Beyond our main targeted platforms we plan to look into PS4 and PS Vita as possible post-launch platforms. We’re using CMake to generate native build environments for each platform.